Two PP-relevant books to report on. 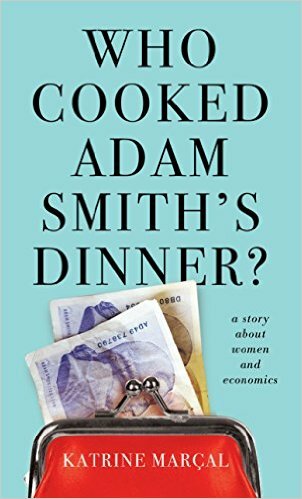 Who Cooked Adam Smith’s Dinner has a chirpy title and a distinctive style. Katrina Marçal is a Swedish journalist who lays about her with relish. Her main target is homo economicus, beginning with the eponymous Scottish original. The answer to the title’s question is ‘his mother’, and Marçal’s treatment of AS is characteristic of her general approach: vigorous, often amusing, landing some good heavy punches, but not exactly even-handed. Old Adam gets labelled as an advocate of every=man-for-himself, with not much nuance about it, which is a tad simplistic. It’s not a wholly original point, but we are now getting more of a discussion on what types of skills are required in different jobs, and the question of what makes a good economist is certainly worth more than a long dinner conversation. Conversely, how we define and reward the skills demanded of care workers is also moving up the agenda, and Marçal points out how big the projected recruitment deficits are for these workers: 130,000 in Sweden, which rewards them better than most. Finally, I enjoyed another thought-provoking point from George Soros (whose solution to the Eurozone crisis – that Germany should leave it – I have find totally convincing, and have never met anyone who could argue against it). He is quoted is saying that the market is not always right; in fact it’s always wrong – it has to be wrong for people to play it. 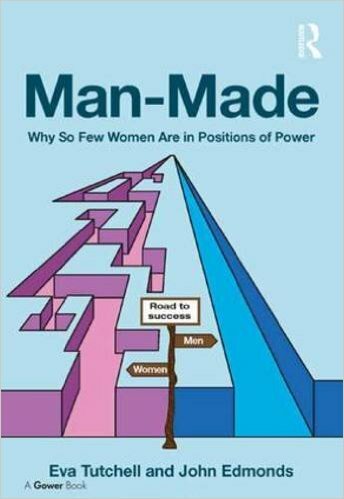 The other book is Man-Made, by Eva Tutchell and John Edmonds. This is based on 100 interviews with successful people, almost all women and mostly from the UK. It makes many good points, including several that cover the PP ground: the importance of self-confidence, the role of networks, the persistence of discrimination. They also deal with the issue of just how far women should, or should be expected to, model themselves on male patterns. One of their interviewees reports herself as having at one point ‘fallen into the trap’ of wearing a black trouser suit and adopting a generally sharp and unsympathetic style, until she realised this was not doing her of her colleagues any good. Man-Made is clear, applied and readable. It forcefully reminds us of the overt sexism that still exists in the workplace, in different forms. Tutchell is the lead author but it’s good to see a man joining in the debate. The book focusses only on top people, which is fair enough but limits its scope. My main beef with it is the unexamined assumption that equality means exactly 50/50. The authors scoff at unambitious thresholds of 30% participation levels. They discuss quotas, but not the difficulties around an exact split. How does this square with most thinking on gender, which does not see it is a binary split? What is wrong with 60% women on boards? What (seriously) would they do about transgenders or those who would like to refuse a gender allocation? The assumption is the equality is to be understood in the simple numerical sense. A pity ( all the more important since they argue that the business case for greater equality is not that strong; it’s the fairness one that counts). So, what sort of chef cooks Christine Lagarde’s dinners?